This week, Harvest’s youth pastor Steve shared a message with us about the important place that every single member of the church has in the effort to “build the tabernacle.” That is, that the task of contributing to the church has been given to all, not simply the rich or ultra-talented. Let’s take a look at a passage in Exodus and see if we can apply to our modern-day situation. 2.How would the Israelites feel about building this tabernacle, know that this would be the place that God would be physically dwelling among them (vs. 8)? 1.In what way are you contributing to the building up of the church? 2.Would you say that one of the groups mentioned above is more important than the others? Why or why not? 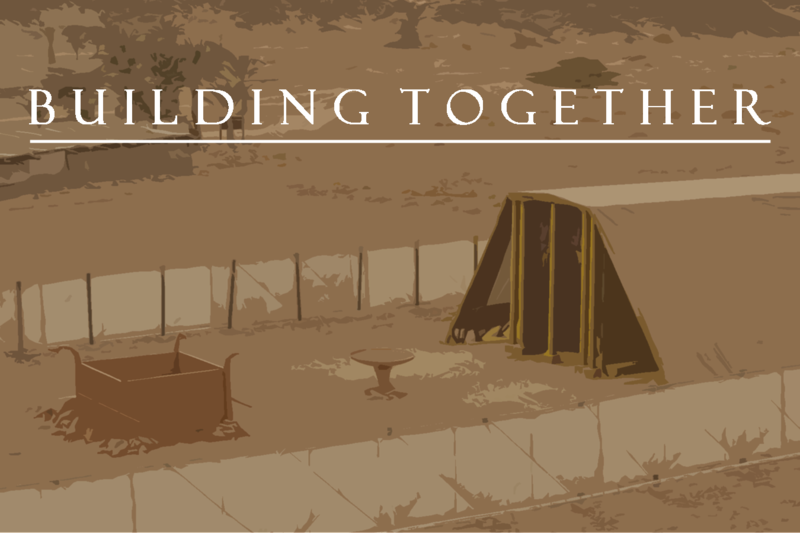 Ask God for opportunities to “build up the tabernacle;” ways to contribute the church that seek to spread its influence and give God and His followers further opportunities to help the community. If you aren’t contributing to the construction of God’s Kingdom, ask for help identifying how you can start approaching the church as an opportunity to serve, not just to be served. For the last four weeks, we have been examining James 3, a passage dedicated to the dangers of unrestrained speech and the importance of using your tongue for good, rather than sin. This week, let’s take a look at the reverse side of the coin: listening. In our conversations, the time we spend listening may be just as important as the time we spend speaking. Who and what we decide to listen to can have a profound impact on our life, and will likely change how we decide to speak to others. Therefore, learning what the Bible teaches us about the art of listening is certainly worthy of our time. 1.Why is someone who “uses words with restraint” someone who has knowledge? 2.Why would sin be more present when words are many? 3.Proverbs 10:20 compares the value of two different things: the tongue of the righteous and the heart of the wicked. How are the tongue and the heart connected? 1.While this passage is specifically about dealing with food that may be considered “unclean” to eat, the larger context points to the idea that we should not be concerned with condemning others for taking part in something of we which we disapprove. Is this something with which you struggle? 2.How does the idea of listening, rather than speaking, connect with this passage? 1.If we are to “hold unswervingly to the hope we profess,” what should our speech look like? 1.Are you someone who tends to talk too much? 2.When was a time when you spoke when remaining silent would have been a better choice? Why? 3.What are ways we can train ourselves to speak less and listen well? 4.How can becoming better listeners be useful in our evangelism? Pray this week for the patience to slow down when you speak, and to be more discerning with how and when you use your words. Ask for guidance when responding to people and for the ability to listen intently and seek to truly understand others before you respond to them. Thank Jesus for his example of someone who took time to listen to those who came to Him, and seek to emulate His ability to respond in love and kindness, even in times when he was being treated poorly. This week, let’s take some time to talk about how our faith translates into action. 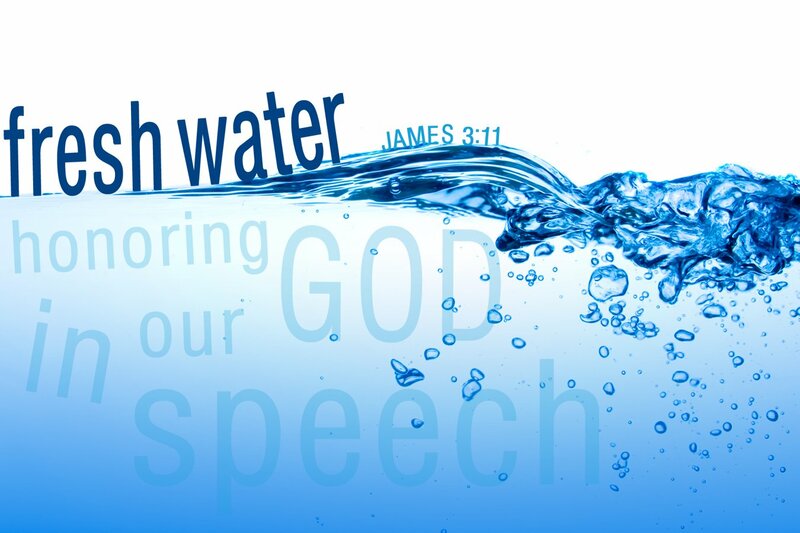 We have been looking at a passage in James 3 for a month now, unpacking the potential our tongues have. Potential to build up or destroy; to encourage or hurt. Oftentimes, however, the potential for good that we have is stymied by our failure to turn our good intentions of our faith into real life action. First, let’s read another passage from James to get a picture of what we are talking about. 2.James creates a hypothetical argument between two people, one defending the supremacy of their faith, the other championing the value of good works. If you were to be a part of this debate, on which side do you believe you would find yourself? 3.Verse 19 seems to bring up an entirely new topic, that “demons” believe there is one God. 1.How can the potential for the good we can do with our tongue be lessened by our inaction? 2.How can hypocrisy find its way into our faith through our speech? 3.If faith without actions is dead, but actions without faith cannot bring us salvation, which of these two things to our Christian faith should be given priority? 4.How does the passage from James 3 that we have been studying during this series apply to this passage? Pray for the courage to turn your words into action this week. If you truly desire a stronger community, then look for a small group to join. If you desire the homeless to be fed, then make a contribution to a local food pantry. Ask for opportunities to take your thoughts and feelings toward others and turn them into actions. Last week, Mike discussed the danger of how we can use our words selfishly, motivating others for personal gain or through methods that don’t reflect the gentleness of Christ. This week, let’s look at how motivation of positive speech habits can be a boon to our lives. 1.What is it like to be around someone who tends to be more positive than negative in the speech? How could it affect our evangelism if we attempt to be more uplifting in how we speak? 3.Does the passage in James 5 mean that we should no longer make promises? 4.What is more difficult, letting your “yes” be “yes” or your “no be “no?”. 1.For three weeks, we have been discussing how we use our speech and the positive and negative consequences our tongue may lead to. How have you tried to alter your words to become less negative? 2.If we should no longer swear, but rather let our “yes” be “yes” and our “no” be “no,” how will that affect our interactions with others? For example, how would work be affected if you became more straightforward and reliable in how you speak? Praise God for his blessings, and all of the reasons we have to worship Him. Ask Him to remind you this week that your speech is important, and that the words and tone you use are being judged as part of your witness to Christ. This week, we are looking at how we use our speech to motivate ourselves and others, and the detrimental impact we may have when we are not in full control of our tongue. Before reading on, think of a way that you have used words to motivate someone that may have not been the most gentle or positive. 1.What is the difference between a “gentle answer” and a harsh word? 2.How would you define the “obscenity, foolish talk or coarse joking” found in Ephesians 4:29? 3.Ephesians 4:29 advises against using language that tears people down. How can we work to create a habit of gentleness and grace in our language? 1.Is anger always a negative emotion? If not, when is anger acceptable? 2.How can the use of course language be a detriment in our interactions with others? Would you say that course language is always sinful, or is it subjective to the situation? 3.Guilt can be a powerful motivator for taking positive action. What is the line between positive and negative guilt? 4.We all struggle with being critical of others from time to time. How can we begin to create a habit of being less critical and more wholesome in our speech? This week, ask God for opportunities to build up others in the way that you speak to them. Thank Jesus for being an example of someone who uses gentle words, even when he is angry or in the midst of persecution. Additionally, ask close friends for accountability when you use course, unwholesome, or harsh words.